We are used to Lady Gaga wearing extreme outfits and having her hair in all sorts of positions but her photo shoot for fashion magazine Porter showed us a side of her we have rarely seen before. 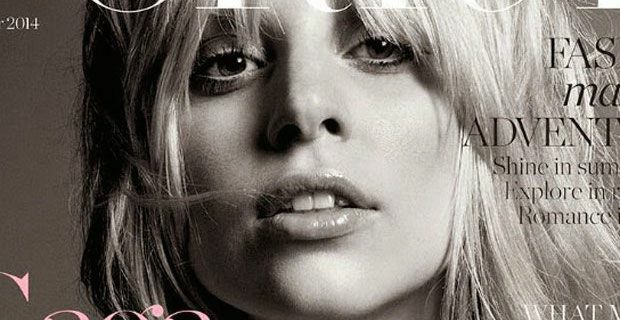 Taking the maxim "Less is More" to the extreme, Gaga posed with minimal make up and her hair down in a natural, albeit slightly shaggy, manner. She had a touch of mascara on, a dab of lip gloss and not a lot else as the camera snapped her. Porter has certainly nailed down their angle well and tweeted "Lady Gaga as you've never seen her before" as their hook for tomorrow's edition. Gaga poses for a series of photos in her grandmother's bathrobe which the singer wears for inspiration when she is writing new material. Overall, reaction seems to be pretty positive to her natural look. Many fans have had to do a double-take or too to actually confirm that it is Gaga they are looking at but she looks really good. The Porter photo shoot makes a pleasant change from the vomit look she sported last month when she was rained on by Millie Brown. Anything is a step up from puke really but in fairness, Gaga looks amazing in the Porter shoot.